Mix the fish, egg whites and mackerel and stir it until smooth. Add corn flour, garlic, onions, , coconut milk, pepper, salt, sugar and combine all ingredients until it is blended. The dough has been mixed form oval tubes or untwisted with adjustable size with the aid of plastic for easy and spread with a little cooking oil. Steam Otak - otak Riau for 15 minutes. Heat oil and fry until it is cooked. 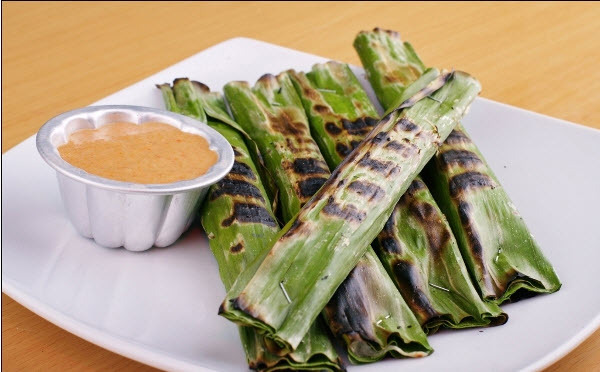 Serve with peanut sauce and the otak-otak Riau is ready to be enjoyed. That’s the entire recipe and the steps to make the delicious Otak-Otak Riau.